Triumph Motorcycles has become the overall leader within the adventure motorcycles segment here in India with 750 motorcycles being sold. The brand has also invested in development of riding skills through carefully crafted rider training programs. 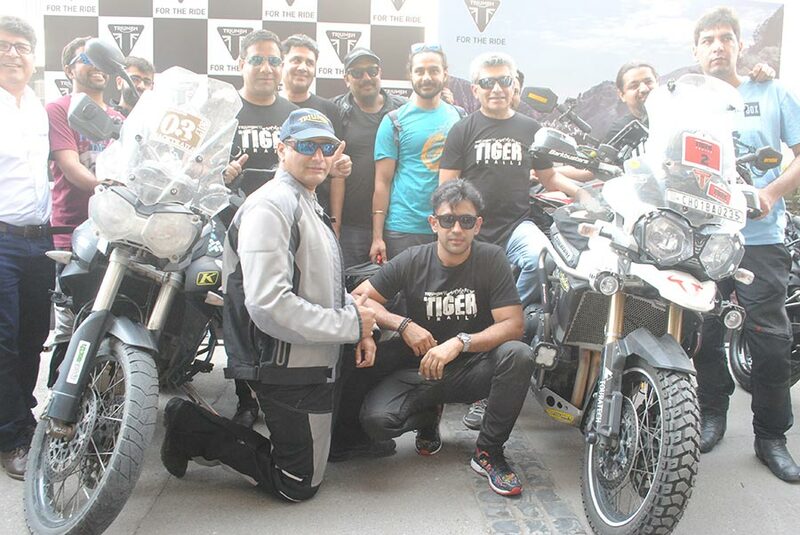 After the tremendous success of Tiger Training Academy across multiple cities in the last year, Triumph motorcycles has decided to up the ante in the field of adventure biking by offering real-time training sessions outside the controlled setup of a track. The Triumph Tiger Trails teaches participants the finer nuances of adventure biking, helping them hone their riding skills and preparing them to ride under any circumstances. 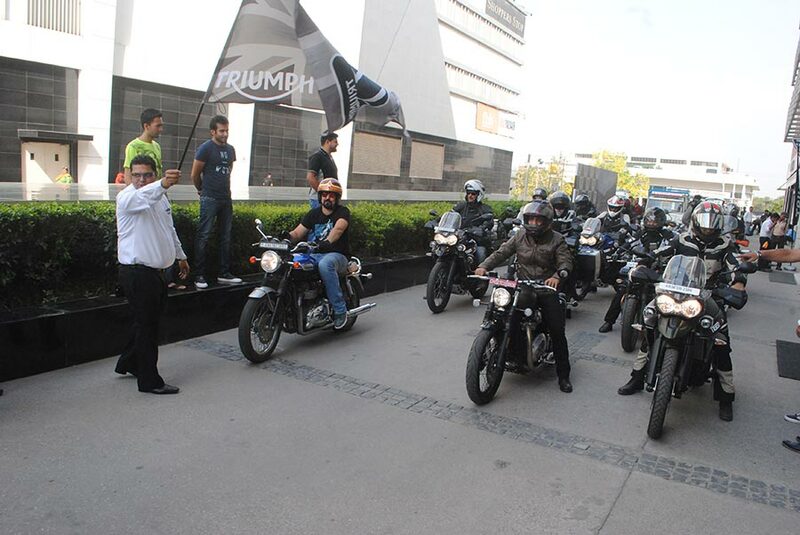 Triumph Tiger Trails has been mapped to take riders through the most scenic routes in Himachal Pradesh. The trail begins at Mashobra and passes through the vistas of Narkanda, the challenging terrain of Jalori Pass, the magnificent Kullu Valley and on towards Manali. The riders not only get real adventure riding exposure but also recharge themselves in the fresh mountain air. The Triumph Tiger has been pivotal in building the adventure riding category and culture in India and is currently the market leader within this fast-growing segment. Our customers are not just Triumph Tiger owners but active riders who already travel extensively but also want to learn the best ways to make the most of their Tigers. The idea behind conducting such training sessions is to pick up from where the Tiger training academy left off, furthering our commitment towards propagating a safe riding culture in India. Triumph enthusiast and acclaimed actor of Sarkar 3, Kai Po Che and Sultan fame, Amit Sadh feels this ride will give him a much-deserved breather from his busy schedule. I ride the Tiger regularly in Mumbai but nothing beats riding it in the terrain it is meant for. I am thrilled to a part of this training, not just because it will improve my riding chops, but will also give me some much needed me-time in the most beautiful of settings. Triumph’s adventure segment portfolio consists of 5 models – Tiger 800 XR, XRx, XCx, XCa and the Tiger Explorer XC. Featuring a host of rider-focused technology such as the standard fitment of Triumph Traction Control and switchable ABS, the Tiger series boasts an incredible level of equipment designed to maximise comfort and convenience on even the longest of journeys with its finely-honed handling.